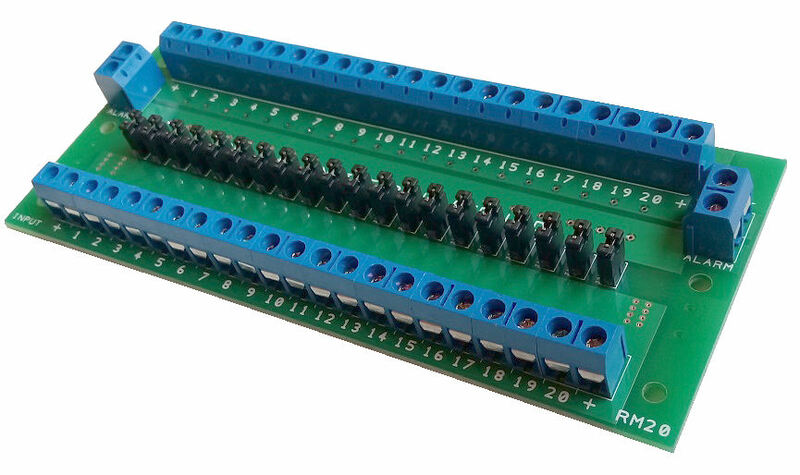 The RM20 is an alarming monitoring interface board in an electrical panel for remote monitoring of any fault status. Any fault detected will light up the indicator on the electrical panel. An alarm can be trigger from this board when a fault occurred and is detected. The monitoring personnel can then be notified to resolved the detected fault. This alarm monitoring board is designed to be compact with neat labelling on the board. There are jumpers for each connection which allows you to configure for the alarm activation. There is also a test connection which allows you to test and check if all the fault indicator is in good working condition. The alarm board is design using diodes which allow power to flow to the panel indicator on the monitoring electrical box. 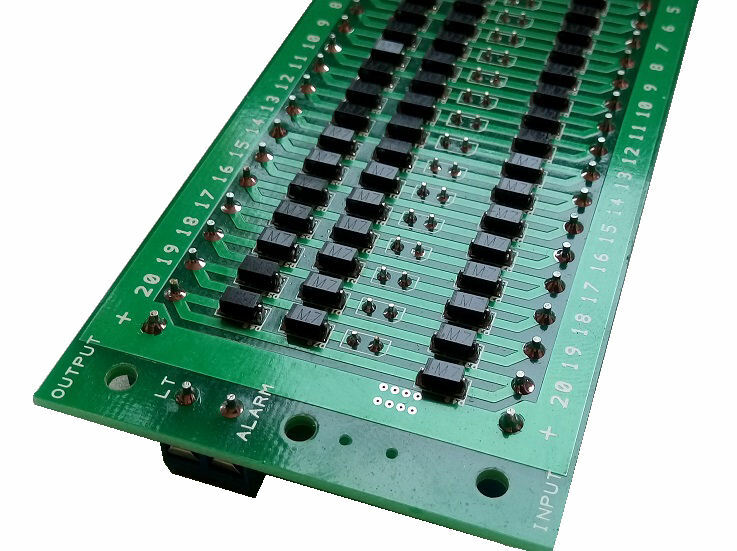 This diode board design helps to reduce the possible massive wiring work for the electrical box installation saving precious time and manpower costing. All diodes are surface which are located on the bottom of the board. The alarm monitoring board has a size of about 131 x 30mm. 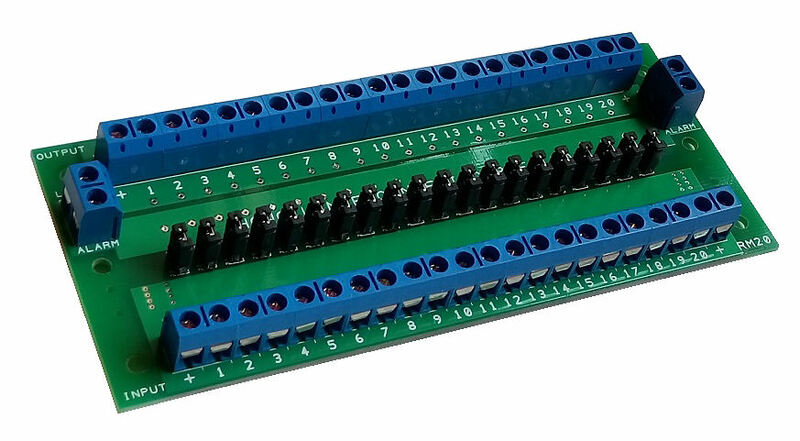 This board is design to be stacked in a staggered top-bottom configuration so that it is easier for any technician to wire up the board. 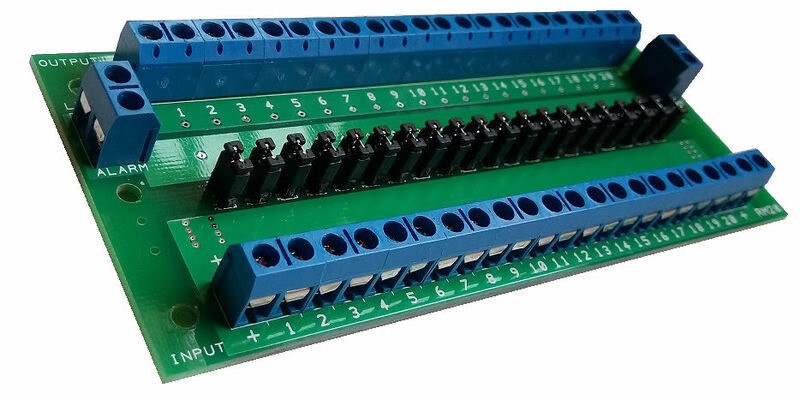 It is also designed so that this board can be mounted to a DIN rail using a standard DIN rail mounting bracket kit. Alarm Monitoring Board from Hong Lam Engineering Pte. Ltd.
Or click here for LED Indicator Light Panel Board for monitoring the status of your 12V 24V electrical system. PIC-CONTROL provides custom electronic design and production. or solution to simplify your electrical box wiring.